I have been thinking about my paternal grandmother a lot in the last week that I've been in Taiwan. I did not get a chance to meet her because she passed away when my Dad was very young. He was only 7 years old when she went to heaven. I knew very little about her. They always said that she was very sweet and a gentle soul. I was very close to my material grandmother. She was the only grandparent I grew up with. She was the one who piqued my curiousity about the craft of sewing. I spent many afternoons watching her sew clothes on her Singer sewing machine (for the life of me though I don't know how to sew clothes!). And that's why there are times I wonder about my paternal grandmother. The only other info I had about my paternal grandma is she's Chinese and had eloped with my grandfather (he's a hunk!). So we had no idea about her family since she ran away with my grandpa (how romantic!). 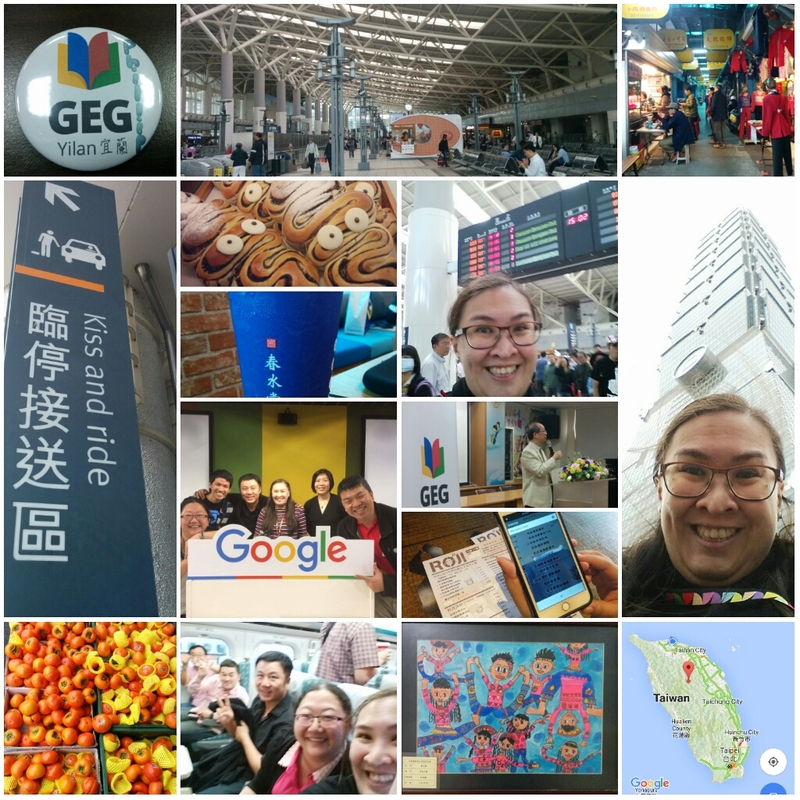 The first time I went to Taiwan last September I felt right at home. As much as I don't understand the local language I have not been stressed about it. It may be also that the country is easy to fall in love with (LTE all the way!) and I blend in (I'm never mistaken to be a foreigner). And today the thought occurred to me, "Did my paternal grandmother's family come from Taiwan?" The taste of food is very familiar, possibly because Taiwan is pretty close to the Philippines and may have influenced our food (and vice versa). I love everything I tasted so far and the pork dishes are heavenly (please do not check my waist line as of the moment). Most of the food I tried tasted like the dishes my Dad used to cook (sniff). Everyone is so nice here! I've been to some countries where people are not so patient with foreigners especially stalls where you buy tapao food/beverages. Last September I tried out several brands of milk tea and the staff always went out of their way to find someone in their line up who could communicate well in English. The friends I now have here always go out of their way to help and always check if there's anything they could help with. Ahhh I like the fact that time seems to move a bit more slowly here in Taiwan. Hustling and bustling seem to be absent even in very crowded places, i.e. 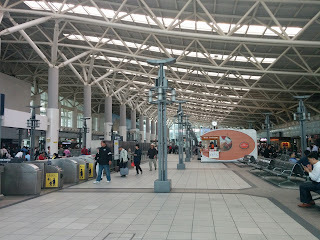 the busy Taipei Main (train) station. I seem to be able to do more in 30 minutes here than in Singapore (hehehe). So I wonder... did my Chinese grandmother's family come from Taiwan?